With Whisky Live London only a few weeks away we’ve been getting ready to run the on-site whisky shop. We’ve been looking through who’ll be exhibiting to make sure we bring along all the bottles that you’ll be able to taste, and I was rather excited to see that one of my favourite distilleries will be appearing in person this year – Kavalan. I’ve been jabbering excitedly about the distillery since I found out about their existence back in 2010, and was very pleased when I was finally able to announce that we had their whiskies in stock last year. 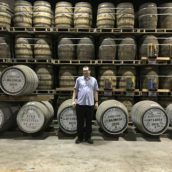 Since then we’ve had a few shipments, with products going in and out of stock, but there were a couple of bottles that I’d not had the chance to try – the King Car Conductor and Kavalan Solist Fino. 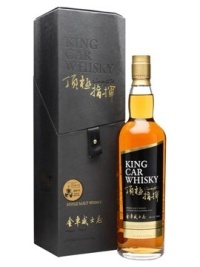 The Conductor is bottled under the label of Kavalan’s parent company – King Car. They’re not only in the drinks business, also dabbling in everything from food to biotech, and decided that along with the rapidly growing Kavalan brand they should bottle something under their own name as well. Nose: Syrup sweetened porridge and sharp fruit – apples, pears and mango (both ripe and unripe). There’s some woody spice hiding underneath along with some pleasant polished wood and boiled sweet sweetness. 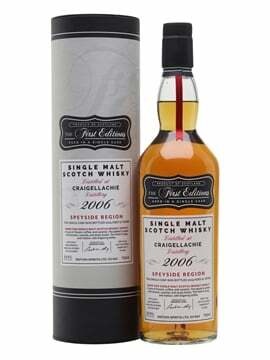 Palate: Loads of butter up front, along with the spice and wood from the nose – hints of cinnamon and a bit of woody clove. It then dives through sharp fruit and back into woody territory, with some restrained oak, both fresh new boards and old dark driftwood. Finish: Surprisingly long and quite dry, with floury apples, apple skin and a growing fragrant oak note. Comment: More intense than the Kavalan Single Malt and better for it – more spicy wood, more fruit and a long finish that shows off the quality of their casks. Nose: An appealing nose showing ripe apples, clean malt, a hint of fresh, sappy oak and vanilla custard. Develops tinned pears, some grassy aromas and rhubarb crumble. Pleasingly complex, with plenty to discover. Palate: Medium-full, with a pleasantly luxurious mouthfeel. The pears are very prominent initially, alongside the malt and some polished oak. Gets very honeyed mid-palate, with some cloves, barley sugar and apple pie flavours. Finish: Very respectable length. Oak spice comes to the fore, with some sweet vanilla aromas and the vestiges of the fruit – apples and pears again. Comment: Very well put together. An exceptionally drinkable, elegant whisky, easy-drinking and bottled at a sensible strength that gives the flavours plenty of oomph. 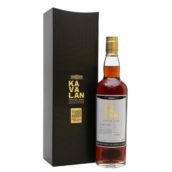 The Solist range of single cask bottlings has grown from just a pair of sherry and bourbon expressions, to including the slightly crazy Vinho wine cask, and now the top end of Kavalan’s whiskies – Solist Fino, bottled at a hefty 58.6%. Nose: Rich spicy oak, dark fruit (raisins, prunes and a few ripe plums), stewed rhubarb (with a drop of custard), and some damp bark. Underneath the more savoury flavours there’s a strand of syrupy sweetness trying to get out, that does so as the dram sits in the glass – honey, sugar flowers and cinnamon syrup. 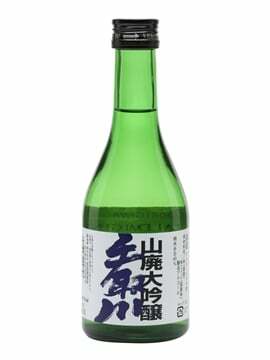 Palate: Strong and spicy to start, with cinnamon and dark wood. It softens to bring out more rhubarb (long cooked and only slightly sweetened), more woody spice, warm leather and some rich earthiness. Water brings out more sweetness, with brown sugar, rum and raisin fudge and some sweet loamy earth. Finish: Quickly fading but then coming back, with woodiness giving way to spicy cinnamon, apple pie and a touch of spiced dark chocolate. Nose: Rich and honeyed. Chocolate brownies, hazelnuts, noisette (think Ferrero Rocher) , with a hint of treacle, then chocolate cake, prunes, plum sauce, raisins and aged balsamic. All this is held together by big earthy oak notes, adding welcome depth. Palate: Quite full-bodied and mouth-filling, with plummy, sweet and earthy notes initially, then the chocolate brownie notes from the nose. The fruit becomes more prominent, with raisins and prune flavours on a bed of the earthy oak notes. The palate is very true to the nose, which is obviously good news. Finish: Very good length, becoming slightly dry and with the raisins now taking centre stage and hints of marinated dark cherries and black forest gateau. 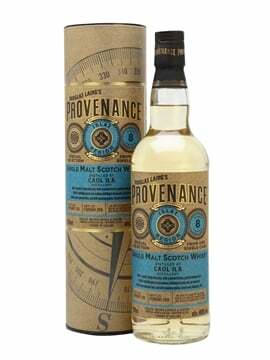 Comment: Despite the high strength this is an eminently drinkable dram, bursting with powerful flavours without going completely over the top as some of the other Solists are occasionally prone to do. The highlight of the range for me, although the King Car runs it close. 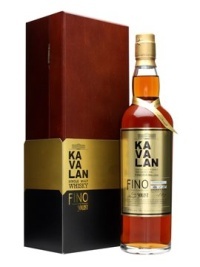 The folks from Kavalan will not only be at Whisky Live, but master blender Ian Chang will be leading a masterclass on the Friday night (Masterclass #3) for only £10, which will run through some of the Solist range including the Fino. 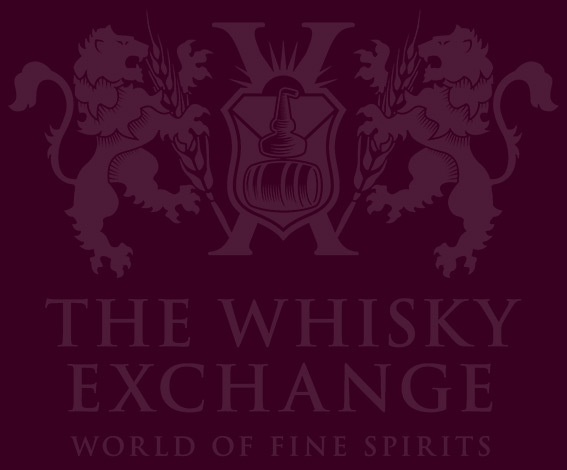 A very good deal for some great whiskies with a chap who knows rather a lot about how it’s made. 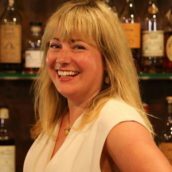 You can book tickets for Whisky Live London over on their website – it runs over Friday 22nd and Saturday 23rd March, and we’ll be there the whole time for your whisky buying needs. Tim & I should be there both days, so pop by and say hello if you’re around.